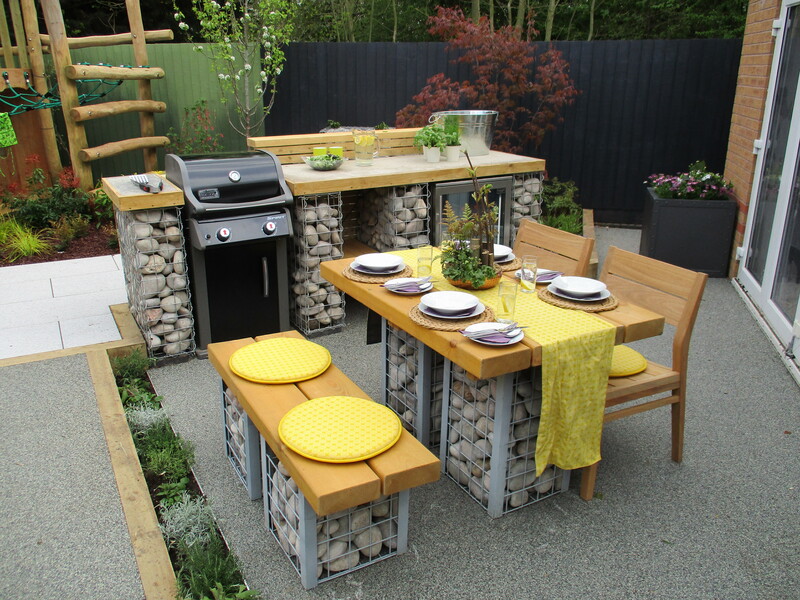 More Space are a small family run business based in Lichfield, Staffordshire but operate nationally with over 30 years of building experience. 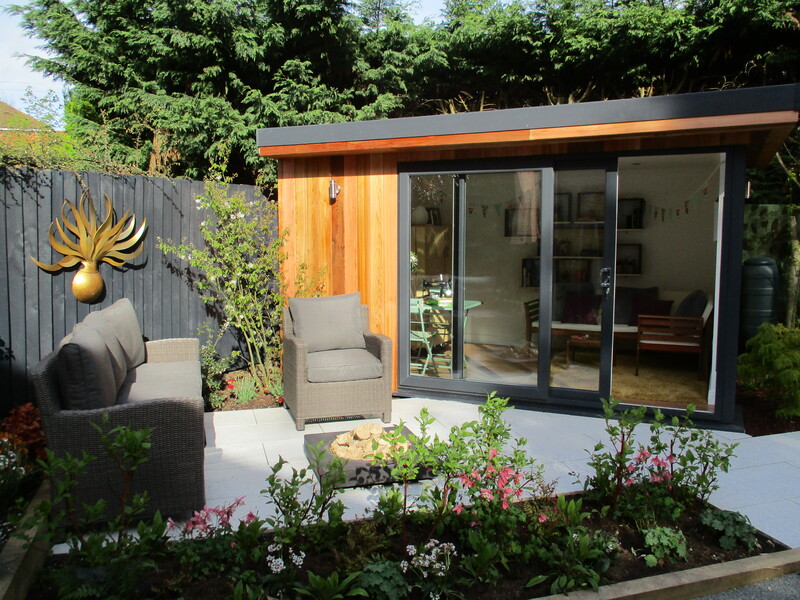 Morespace create bespoke garden rooms to fit the client’s requirements and were the perfect choice for Nathan’s Garden. They use only the highest quality building products to ensure your room can be used comfortably all year round. Rooms are finished in beautiful sustainably forested high grade western red cedar or low maintenance light oak UPVC cladding. 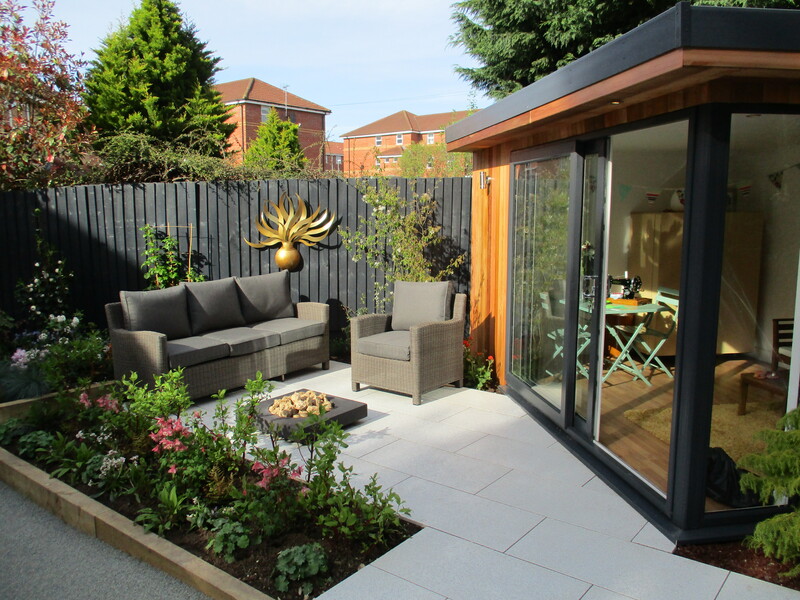 Nathan’s garden room was £11,400 but all their products are individually priced to the client’s brief. 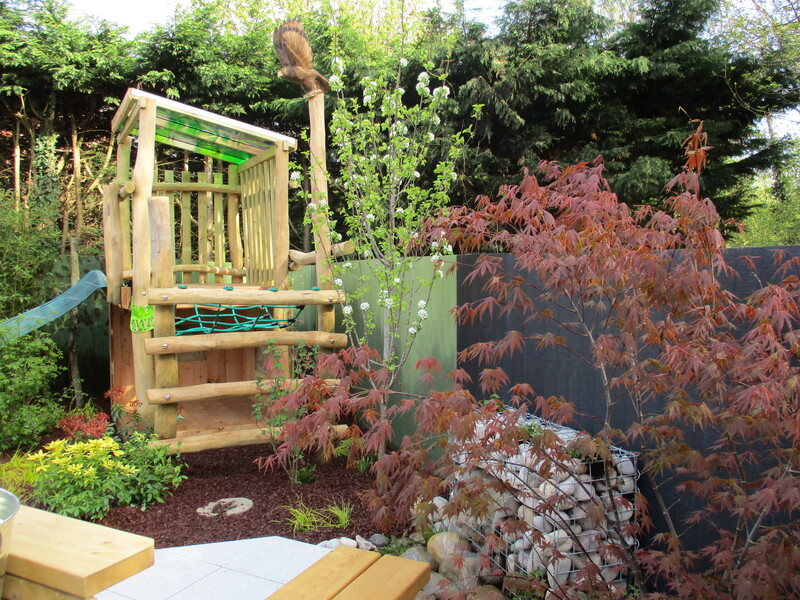 The fantastic natural playground we built for Harry was supplied and constructed by Infinite Playgrounds. Infinite Playgrounds is an award-winning playground design and build company creating cutting-edge educational play areas and playgrounds. 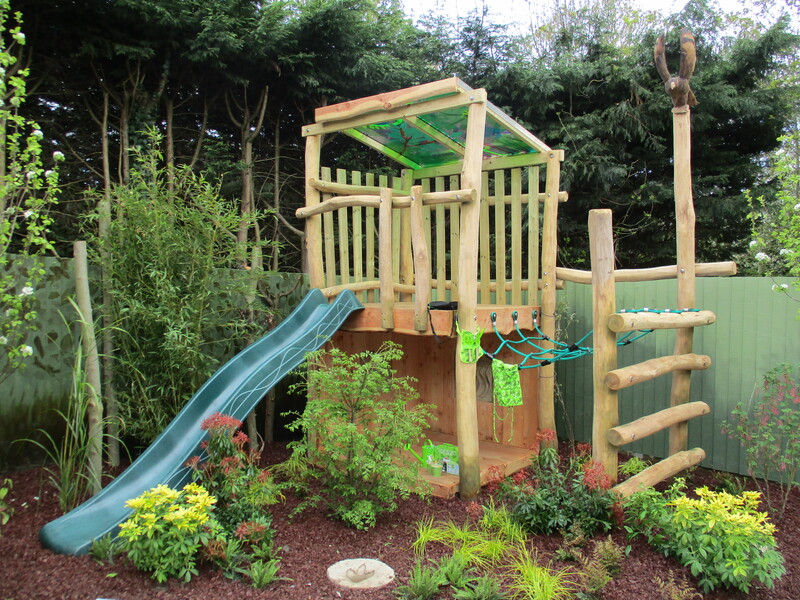 They have pioneered making children’s play central to their education using natural materials and original designs to balance safety, excitement and adventure. Harry has a unique colourful canopy which casts beautiful bright light and reflections across the ground. A high-quality timber frame combines with vibrant translucent roof panels to offer shelter from sun and rain. The Sudstech permeable paving system is an eco-friendly, SUDS- compliant water management solution developed for both the commercial and public sectors. 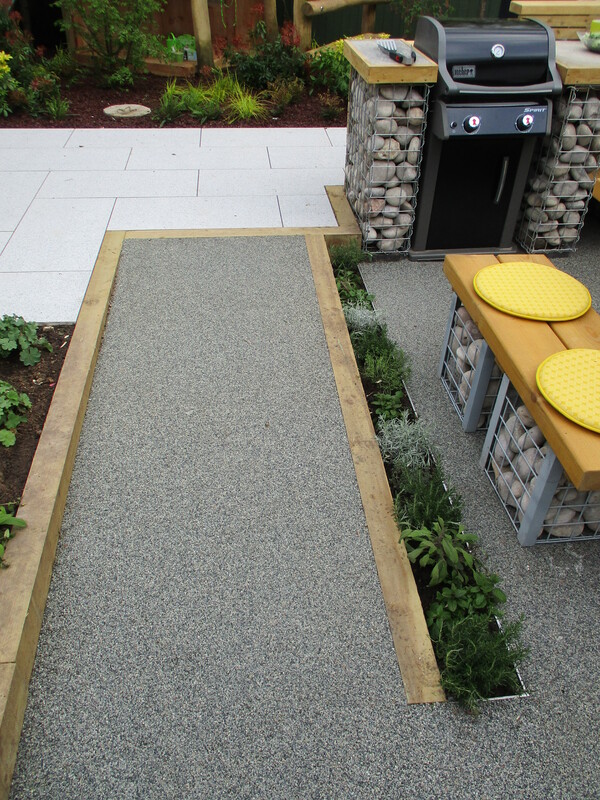 Unlike other resin bound surfaces the Sudstech system utilises a unique sub-base comprised of resin bound aggregate and recycled tyres. The slight flexibility offered by our unique sub- base allows fines that would usually facilitate weed growth to agitate through the surface ensuring the system will never clog. 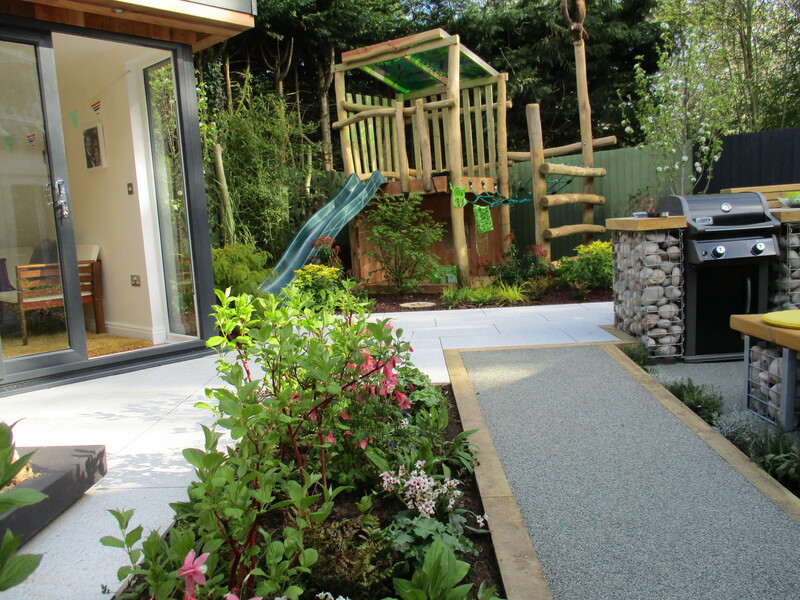 Unlike other resin bound products water is able to freeze and thaw within the Sudstech system eliminating the risk of frost damage such as cracking and delamination. The Sudstech system has been developed over the past 10 years and has been rigorously tested at the British Research Establishment (BRE) for both impact and freeze thaw. Sudstech requires no additional drainage, minimal ground works and virtually no maintenance across its life span, making it one of the most cost effective paving products on the market today. 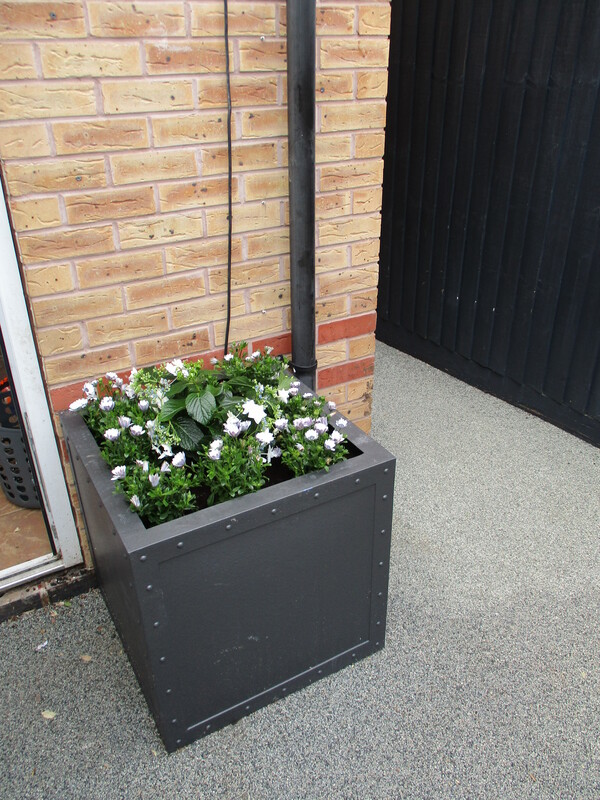 It is available in several colours, and we used ‘Tweed’ in Nathan’s garden. Prices start at £72 per m².